ASTANA (Reuters) - Kazakhstan took a step closer to a carefully choreographed dynastic succession on Wednesday as the daughter of its long-serving ruler was named to a post that put her in line for the presidency a day after her father stepped down. 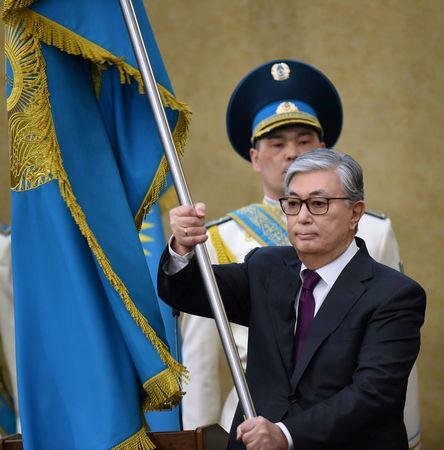 The capital Astana is to be renamed Nursultan in Nazarbayev's honor, Tokayev said. Nazarbayev's "opinion will have special, one might say priority, importance in developing and making strategic decisions". While his rule has been firm and political opposition all but negligible, Kazakhstan has not faced the same degree of criticism over human rights as neighbors Uzbekistan and Turkmenistan, or unrest that plagued Kyrgyzstan and Tajikistan. "What we expect to see in coming years and decades is a gradual transformation toward a system that is less reliant on one strong figurehead," said Charles Robertson, global chief economist at Renaissance Capital. In any case, major concerns for investors will be uncertainty and a shift from long-term structural reforms toward populist policies, which began last year when the government unexpectedly froze utility tariffs, putting companies' long-term investment plans at risk. "There is obviously pressure on the regime to improve living standards... and to a certain extent they have some resources to do that," said Stuart Culverhouse, chief economist at emerging market investment bank Exotix.